إذا كنت تبحث عن فندق بموقع جيد في صن شاين كوست، فقد وجدت ضالتك في Blackwattle Farm B&B . يقع مركز المدينة على بعد 5.0 Km فقط. ويمكن الوصول إلى المطار خلال 40 دقيقة. يضفي محيط الفندق اللطيف وقربه من حديقة الحيوان في أستراليا, حديقة جبل غلاس هاوس الوطنية, Treasures in Maleny سحراً خاصاً على هذا الفندق. كما يقدم Blackwattle Farm B&B الكثير من الخدمات لإغناء رحلتك في صن شاين كوست. تتضمن الميزات الرئيسية في هذا الفندق: واي فاي مجاني في جميع الغرف, تخزين الأمتعة, واي فاي في المناطق العامة, صف السيارات, غرفة عائلية. يمكن للنزلاء الاختيار من ضمن مجموعة من الغرف المصممة بعناية لتعكس جواً من الراحة، والتي يتجاوز عددها 1. صممت خدمات الاستجمام في الفندق والتي تتضمن مسارات المشي, متنزه ترفيهي, مسار جولف - ضمن 3 كم, تدليك, حديقة لمساعدتك على الاسترخاء والراحة. استمتع بخدمات لا يعلى عليها وعنوان ذو اعتبار في Blackwattle Farm B&B . لدى العقار أوقات تقييدية لتسجيل الوصول. إذا كنت تتوقع الوصول بعد الساعة 05:00 مساءً، يرجى الاتصال بالعقار مباشرة للحصول على تعليمات تسجيل الوصول. تجد بيانات الاتصال موجودة في قسيمة تأكيد الحجز. توجد مجموعة متنوعة من الحيوانات بالمزرعة، وبالتالي يتعذر على العقار استقبال الكلاب. توجد مؤسسة لتربية الكلاب جيدة جدًا وقريبة وبأسعار جيدة. يُقبل الدفع ببطاقات الفيزا والماستركارد. It was great to interact with the animals on the farm. Farm tour starts at 4pm, don't miss it! The cabin was spacious and so comfortable. A generous breakfast spread was prepared for our arrival. There is a beautiful vegetable garden with lots of variety. Wonderful view of glass mountain too! Marion and Ron were superb hosts, gave you enough attention and guidance but also allowed us space to explore and relax. Room was beautiful with views of the mountains and birds! Wish we could have stayed longer and would go back in a flash! had a great first night after a long flight. hosts are very friendly and wonderful people who take pride in their B&B which explains everything - beautifully furnished room, warm breakfast, etc. Not to forget the onsite farm animals which we enjoyed watching! I would like to recommend this accommodation to all the people I know. Comfortable with very pleasant surroundings. Owners were very attentative to our needs and respected our privacy. Blackwattle Farm was just what we needed for a quick getaway just an hour away from Brisbane city, it was hard to imagine that such an ethereal and serene place was so close to the hustle and bustle of Brisbane CBD. Ron and Marion were such gracious hosts, always making sure that we were tended to where needed and making sure that we were very comfortable without encroaching on our privacy. The farm was absolutely breathtaking, meeting the alpacas (Gerra and Darcy), their dalmation (Rosie) and their gorgeous cat (Rambo) was a plus, as we are big animal lovers. Being surrounded by such beautiful people and scenery provided us the much-needed break this Labour Day. Long after we've left we still reminisce about waking up to the fresh mountain air and going out to greet the animals every morning, and then sitting down to a hearty and healthy breakfast lovingly prepared by our hosts. 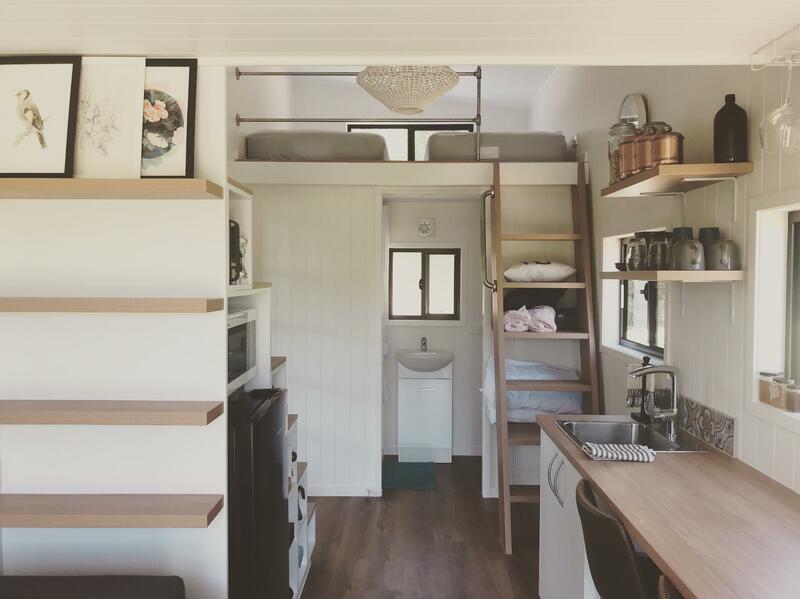 If you're after a relaxing holiday and love a change of scenery, then Blackwattle Farm is the place to be. We're definitely going back there for another visit. Our stay at Blackwattle Farm was a much needed recharge. We enjoyed the local restaurant and quiet surrounding with magnificent views. The location allows for sight seeing in the mountains, beach or attractions. 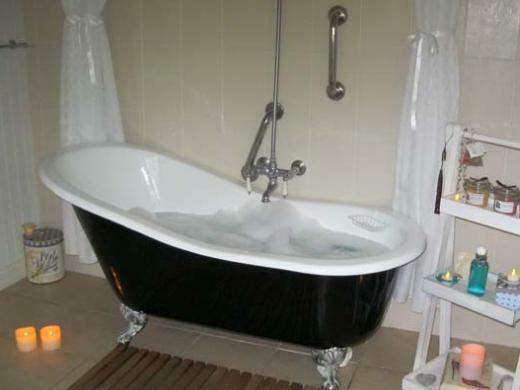 Comfy bed and lovely bath as well as substantial sitting area and gardens provided many options for relaxation and reflection. Our hosts were very attentive and informative without encroaching on our space or privacy. All round a lovely place to rest and recharge while exploring the area. Amazing views in a relaxing and quiet environment, lovely room, wonderful hosts, and getting to feed animals! Ron and Marion were perfect hosts; we arrived late at Blackwattle Farm due to a flight delay, however they were fantastic with us, having even waited up. Upon arriving, we were greeted with a beautifully decorated room, very cosy yet spacious, with a lovely soft bed and pillows, including one handmade by Marion and stuffed with alpaca fur. The equally well-furnished bathroom just before it was complete with a pretty bathtub and a large selection of bath salts, and even a few suggested combinations, which we found extremely thoughtful. 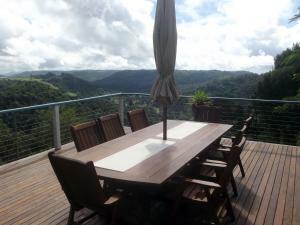 We awoke to breathtaking views of the Glasshouse Mountains, and a wonderful homecooked breakfast. Ron and Marion are really friendly hosts, and provided us with intriguing stories of their travels. The garden is beautiful to walk round, and we were even invited to help feed the animals. We had a lovely stay, and wish we could have stayed much longer. We would definitely come back if the opportunity rises! 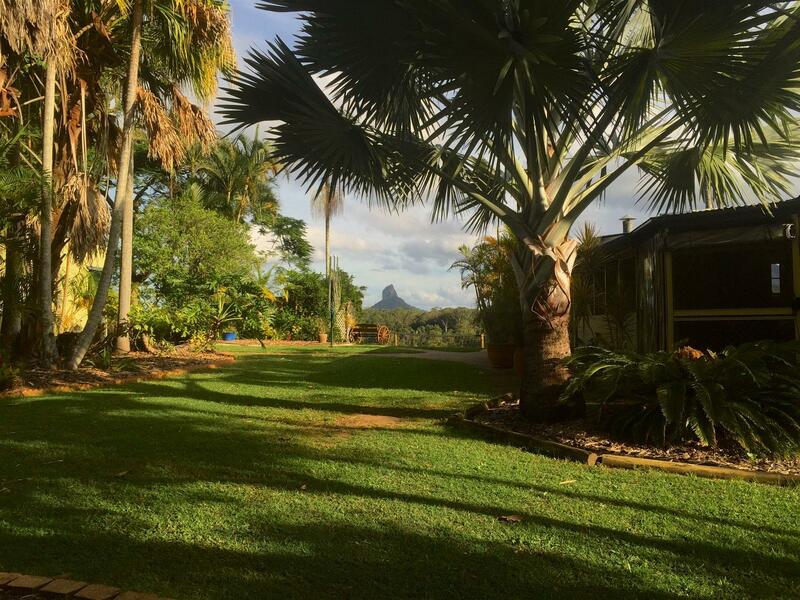 if you're looking for beautiful accomodation in a lovely & peaceful setting, overlooking the glasshouse mountains, yet just a short drive from pretty towns, blackwattle farm is a must. don't forget breakfast out on the verandah! highly recommended!